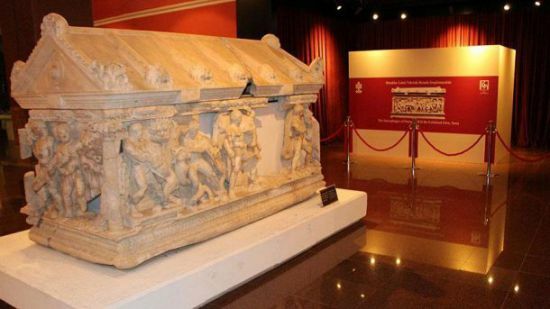 The sarcophagus of Hercules brought from Zurich to Istanbul is now placed at its enclosure in Antalya Museum and will be open for public after a ceremony attended by Culture Minister Numan Kurtulmuş on September 24, 2017. The sarcophagus is believed to have been stolen from the ancient city of Perge, 18 kilometers (11 miles) east of Antalya on the Mediterranean coast, sometime in the 1960s. After undergoing restoration in the U.K. several years ago, it was seized by Swiss customs authorities in 2010 for being in violation of Swiss trafficking laws. A Geneva prosecutor initiated an investigation into the matter in 2011, contacting Turkish authorities. Once both sides realized that the sarcophagus originated from Perge, the repatriation process began. On May 2, 2015, the Geneva Prosecutor's Office decided to return the ancient artifact to its home, which was approved by a court last year. The sarcophagus is dated to the second century A.D. and measures 2.35 meters to 1.12 meters (7.7 feet to 3.7 feet) and is categorized as a small Asian-style sarcophagus, or "Torre Nova." It was displayed at the University of Geneva's Museum of Art and History for three months before Turkish officials from Antalya Museum traveled there to oversee the move. The sarcophagus was first transported to Zurich. 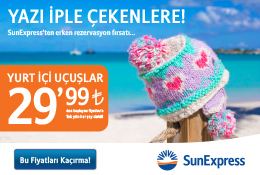 It is scheduled to fly to Turkey tomorrow. The piece will be placed next to the "Weary Heracles" statue, which itself was retrieved from the Boston Museum of Fine Arts. The top half of the statue was missing for decades before being located at the Boston museum, which purchased it in 1982. The bottom part was discovered in Perge in 1980 and was showcased at Antalya Museum.